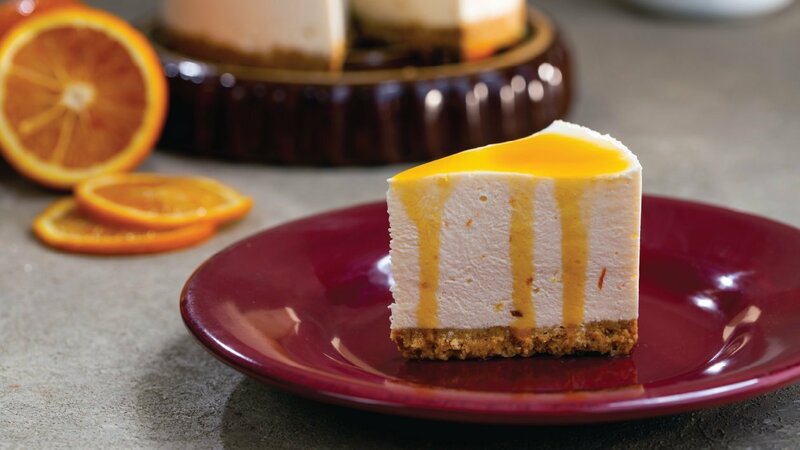 If you are searching for a different and unique dessert which will look as fantastic on your buffet as it tastes, our Orange Custard Cheesecake is your answer! The classic flavor of vanilla custard, paired with the sugary flavor of orange marmalade will be a sure win with your diners. Try it out today! Combine crushed digestive biscuits with melted butter and mix well. Use two 9-inch square cake mould or any glass tray/individual moulds; line with aluminium foil/cling film. Press the crumbs evenly on the base, using the back of a spoon to level, and refrigerate for 15 minutes. Boil the milk; add sugar, Rafhan Vanilla Custard orange marmalade, and cream cheese. Cook for a few minutes, whisking to a smooth consistency. Pour over the biscuit base. Allow it to cool slightly, then refrigerate for 40 minutes or until firm.